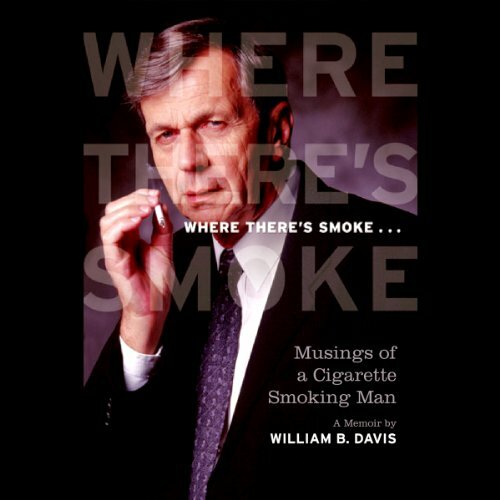 Chronicling his own life and times, William B. Davis, the actor who played the notorious villain Cancerman on The X-Files, discusses his loves, losses, hopes, fears, and accomplishments in this unique and engaging autobiography. An all-access look into the life of a versatile actor, this life story includes anecdotes, recollections, and gossip from roles with such greats as Laurence Olivier, Maggie Smith, Martin Sheen, Brian Dennehy, and Donald Sutherland. From the University of Toronto and theater school in Britain to Hollywood and appearances on Smallville and Stargate SG-1, this memoir recalls one actor’s journey from the main stage to the mainstream. ©2011 William B. Davis (P)2012 Audible, Inc.
Quite highly. Davis gives an excellent reading of his (mostly) very interesting life and it's a shame that he doesn't seem to have recorded any other audiobooks. I bought this purely as a fan of the X-Files and of Davis' performance as CSM, but he has led a surprisingly interesting life. He probably could have written a book solely about his numerous relationships with women, but there's enough good material here about his childhood, family life, moving to England, working in the theatre, etc. The only major problem is whenever Davis starts reading off reviews of his performances, or of theatre shows that he was a part of. At one point he spent what felt like an hour just going on and on and on and on about "So and so found my performance to be... That stalwart of the Canadian theatrical society, Ms. Whatshername, was less impressed... The third performance was received warmly by these critics from some newspaper you've never heard of..." and I could not have cared any less. I know his life has been the theatre and it's his memoirs, but I just felt like they dragged on for far too long. For other X-Files fans, just be warned that Davis basically saw it as just another acting gig that he had for a couple of years, so he doesn't spend much time discussing it. What he does say about the egos of certain people and what he thought of the overall production is quite revealing, though.